It sounds like the perfect place to exile your precocious little sister or the geek from chemistry class: “Pesthouse.” But Telluride’s pesthouses were quarantines for people with communicable diseases—such as smallpox, scarlet fever, diphtheria, measles and the Spanish flu—which could ravage a town and leave death or disfigurement in their wake. 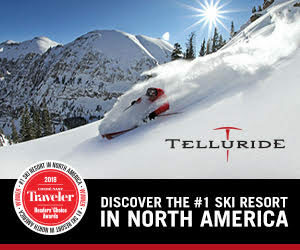 Given the influx of people from around the world, it’s no wonder such ailments commonly struck Telluride in the late nineteenth and early twentieth centuries. Prior to this era of vaccinations, pesthouses, like diseases, came and went. Longtime residents recall a pesthouse built in 1901 by the town and county in a clearing on the Butcher Creek Trail (now the switchback closest to Cornet Creek on the Jud Wiebe). This structure was actually the fourth of six designated pesthouses mentioned in town records. The first was either built or purchased in 1893, and the town board hired two physicians to work there. Two years later, the marshal was told to burn the building. Subsequent pesthouses were bought when needed, then burned or sold for salvage. Upon report of a single case of smallpox in 1889, the town purchased the old Wann House from William B. Van Atta for $215. The price included furniture, and the town spent another $8 for a stove. A woman was hired to cook and a man to nurse the patients. Food, bedding, medicine, physician care, clothing and sundries were also funded. The following summer government officials bought another pesthouse from Harriet Elizabeth June. The house stood in back of the Lone Tree Cemetery and adjacent to property owned by the Liberty Bell Mining Company. That December, Arthur Winslow, general manager of the mine, wrote a letter to council saying, in part, “If used as a smallpox hospital, it would not only endanger the health of the employees…, but would undoubtedly cause much trouble in maintaining our mill crew. The mere mention of the plan has already caused considerable comment, and men have expressed themselves to the effect pesthouses that they would not work here if such use were made of the house referred to.” He asserted the importance of the mill, adding: “If it were a question of shutting down the mill or selecting some other site, I do not think you would hesitate a moment about changing the location.” In closing, he offered his company’s assistance to find another house. Council agreed to sell the June house and obtain “an unobjectionable location” on the western side of town across the river. But before the June house could be sold, there was a smallpox outbreak, and it was put into service. The town and the county commissioners agreed to share the cost of acquiring a site and building a permanent structure in February 1901. At the same time, a quarantine of the Liberty Bell Mine was announced, and the county asked the mine to assign two miners to guard the trail that led from Telluride to Liberty Bell to enforce the quarantine. Quickly, the town bid on a place, and on February 20, the Daily Journal announced that the new pesthouse, located on 10 acres at Butcher Creek, was ready for occupants. “The site is in a most picturesque little park, a delightful spot in summer, and isolated from all trails or roads.” The facility was described as “a comfortable structure 18 x 36 feet, with a 12 x 16 wing for kitchen purposes and a second building, 12 x 10 feet, intended as the detention house.” Phone and electric lines were installed. Between epidemics, the Butcher Creek pesthouse fell victim itself. Following a hiatus of good health in Telluride, the paper reported in 1909 that “every window light has been broken out, doors removed, tables, chairs, stove, and everything that was loose, with the exception of one old mattress, has been stolen.” But the damaged pesthouse was made ready overnight for a man whom Dr. Taylor determined had smallpox. “He was immediately isolated and there is practically no danger of the disease spreading.” (Perhaps because the man had been working in town for only one week.) “And even should other cases develop there is no occasion for the idiotic scares that accompanied the announcement of smallpox a few years ago. Under modern methods of treatment the illness is mild and easily controlled.” Two men from Placerville were next confined, and the next day Dr. Hadley vaccinated approximately 30 people in that community, fumigating the cabin where the two men stayed and also the railroad station, hotel, stores and other places they might have visited. The Butcher Creek pesthouse was used a few more times, but in mid-August 1919, six people with smallpox were quarantined at the Ballard Rooming House in Bear Creek instead. In 1932, the town cut off water to the Butcher Creek site, and eventually, the building collapsed. In 2003, within the context of homeland security and public health, President Bush added SARS (severe acute respiratory syndrome) to today’s list of quarantinable diseases, along with cholera, diphtheria, infectious tuberculosis, plague, smallpox, yellow fever and viral hemorrhage fevers (Ebola and Marburg viruses). It’s difficult to imagine a quarantine in Telluride in this era of childhood vaccination and sophisticated medical care, and an official pesthouse no longer exists for such occasions.